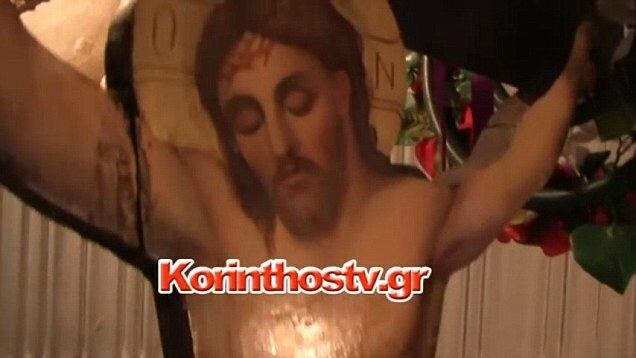 In a strange chronological coincidence, an icon of the crucified Christ on display in the church of St. Nicholas in Asprokambos began “weeping” as of January 25, the day of the general election of Greece’s new prime minister, Alexis Tsipras. At first it seemed a passing occurrence, linked to meteorological changes, but the phenomenon has continued uninterrupted. People have been flocking to the church in the small Greek village of Aspokambos, near Corinth, to see the purported miracle, and many are attributing to it a divine sign with heavy political overtones. The question is what that message is. 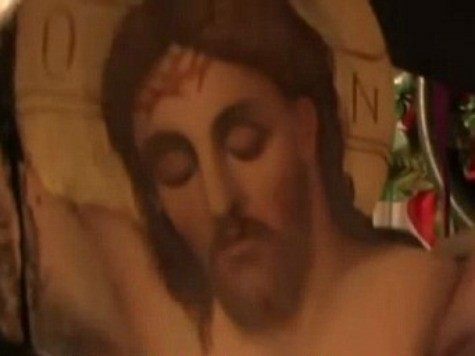 Tsipras supporters have been quick to name the weeping icon “the Tsipras Miracle” or the “Miracle of Syriza” as a sort of divine confirmation of his election, while others suggest that Jesus is shedding tears over Tsipras’ misguided leadership that is taking Greece over a precipice. A member of Greece’s left-wing Syriza party, Tsipras won elections on an anti-austerity platform, figuratively thumbing his nose at the European Union. At his inauguration in January, Tsipras, an atheist, broke with tradition by not being sworn in by the head of the Greek Orthodox church, Archbishop Ieronymos II. Bishop Mantalos has said that he intends to inform the Sacred Synod—a Greek Orthodox governing body—of what is happening, and he also intends to invite experts to examine the icon. “In terms of faith must always be cautious,” he said. “I hope that the phenomenon is only an opportunity to push the faithful to reflection and prayer and not to advertise our territory,” Mantalos said in an interview. One way or another, the “Tsipras Miracle” is giving Greeks something to talk about other than their dire economic situation and possible exit from the Eurozone.